October is Connected Educators Month. Being a connected educator can mean many things. It could mean discussing strategies for working with a challenging student with a teacher down the hall, collaborating on lesson plans with a teacher in another school in your district, or corresponding with someone you met at a conference about instructional strategies. As illustrated in these examples, connected educators are nothing new; however, today’s digital world offers endless possibilities for teachers looking to collaborate. Online tools such as Facebook, Twitter, LinkedIn, Google+, webinars, blogs, forums, etc. offer today’s connected educators an unprecedented opportunity to further the field of education within their classroom, school, district, and nation. 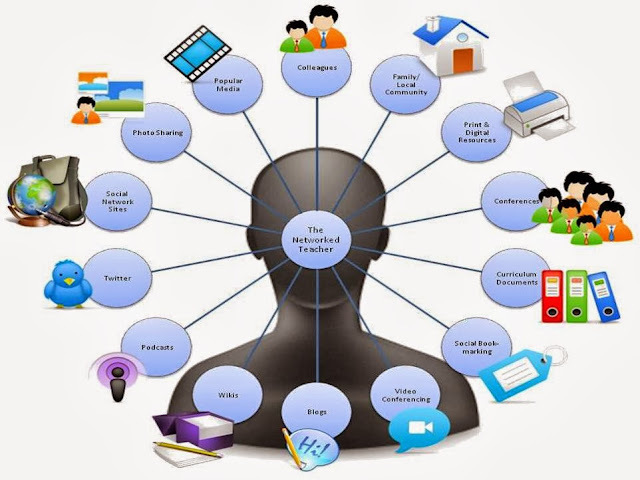 The establishment of a Personal Learning Network (PLN) provides teachers with a form of personalized professional development that cannot be matched by any inservice or workshop. A PLN provides educators with personalized, just-in-time access to lessons, advice, resources, research, and, perhaps most importantly, inspiration. 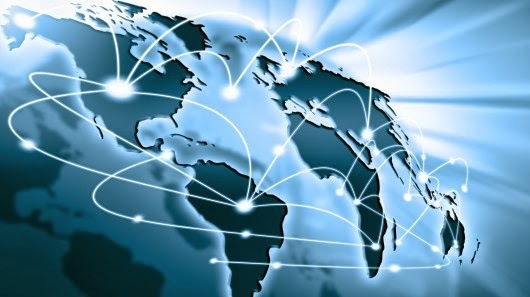 It is also important to remember that today’s learners live in a connected world. They spend countless hours viewing pictures on Instagram, creating videos on Vine, sharing on Twitter, watching videos on YouTube, etc. Today’s students have technology embedded in nearly every aspect of their life. This digital world necessitates an evaluation of how we, as educators, approach learning. The creative, collaborative process students use daily, can also benefit teachers. By becoming connected, teachers are able to deepen their understanding of students’ lives and to access the collective resources, creativity, and wisdom of the world’s educators. I encourage all teachers to check the U.S. Department of Education’s Connected Educators website. This site offers a number of valuable resources including a Starter Kit, a calendar of events, edConnectr, and many more. Many teachers have already discovered that Twitter provides a valuable tool for connected educators to collaborate. Connected Educators Month discussions can be found at #CE13. #SSChat also offers valuable tools for any social studies teacher. Connected Educators Month organizers also maintain a Facebook page and Google+ community to share resources and promoted discussions. A simple search will reveal many other sources related to Connected Educators Month. Regardless of what tools we use, all educators owe it to our students to become more connected. Free Technology for Teachers (Twitter - @rmbyrne) is a good source to learn about technology tools and possible applications for education. Dangerously Irrelevant (Twitter - @mcleod) provides insights into educational trends and issues. Edutopia (Twitter - @edutopia) promotes innovative instructional strategies and offers many valuable resources for teachers. The Stanford History Education Group website (Twitter - @SHEG_Stanford) includes a number of good lesson ideas for history teachers. Teachinghistory.org (Twitter @teachinghistory) contains many resources of value to a history teacher. This is certainly not a comprehensive list, but rather a starting point. I encourage everyone to share some of their favorite sources with another teacher. As a connected educator, I would like to expand my PLN by connecting with passionate educators who want to collaborate for the benefit of all our students. Connect with me via Twitter or LinkedIn.